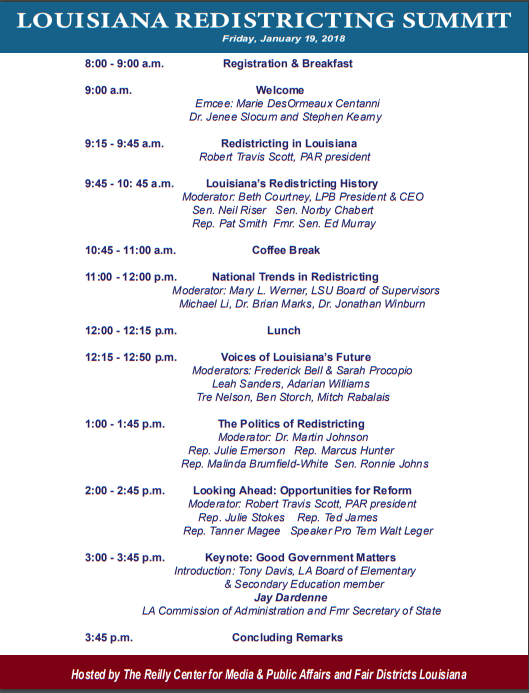 Current and former state elected officials, redistricting experts, and acclaimed professors. Event organizers will compile the day’s presentations and discussions into a report to be sent to the Louisiana Legislature and the Governor’s office. The report will be made publicly available upon completion. RSVP required. Please register using Eventbrite to reserve your spot.